In our Urban Volunteering series, writers highlight volunteer opportunities in cities they know well. 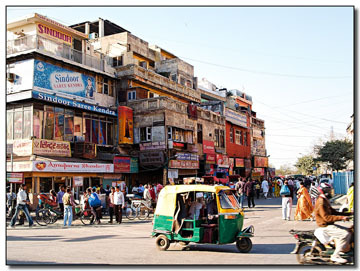 Delhi is teeming with ideas, opportunities, and people who work with exciting social change and social justice projects. Pravah works with adolescents and young people, as well as organizations and institutions, and seeks to empower young people to become leaders. It has many ongoing projects among which its urban volunteering project, SMILE. 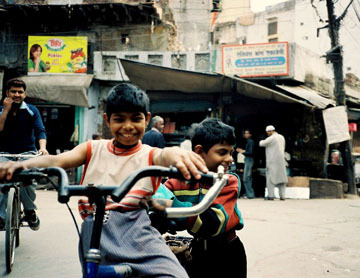 SMILE involves people between the ages of 18 to 25 with several organizations working within the city of Delhi, matching interest areas with organization profiles. Apart from internships, Pravah also offers open workshops and discussions for young people in a bid to involve them in social change projects and concepts. They strongly believe in volunteering as a key part of learning through experience and require volunteers to commit at least 40-50 hours to their project. CSE has a very flexible volunteer program and offers opportunities that range from field work to work at home positions. Volunteers can be of any age group and do not need to have a particular skill set or any specific qualifications. There’s an online system by which people can apply to volunteer. At any given point, CSE has at least 20-25 volunteers working with them, and these are usually placed under a team leader or guide. Volunteers also receive a 50% discount on all CSE products. You can email them at cse@cseindia.org. What started as a theatre project involving homeless children for a special production put up for Prince Charles is now an organization that has a home for boys, an outdoor daycare center, and an upcoming home for girls in Delhi. The home for boys houses 15 children and provides them with food, shelter, safety, education, and vocational training. 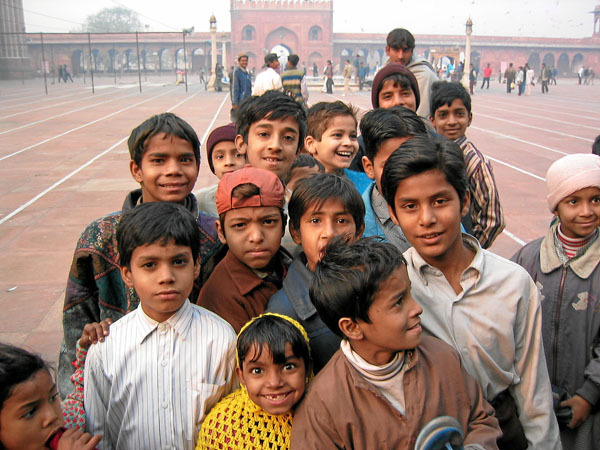 The daycare center tries to cater to the big population of homeless children around the Jama Masjid. Volunteers are needed to spend time with the kids and teach them, and long term volunteers are appreciated for a formal theatre group trained by Jamghat. Volunteers with special skills such as psychological counseling or medical care experience are especially welcome. More information is available at jamghat@gmail.com. This organization focuses on health, education, and livelihood and income generation around Dargah Hazrat Inayat Khan in the slums of Nizamuddin in Delhi. Volunteers are welcomed from different age groups and backgrounds, and there is plenty to get involved in, including teaching computer classes, typing, and English, to documentation, vocational training, and health care. The Project asks for a minimum time commitment of one month and can be reached at info@hopeprojectindia.org. Email, call, or just drop by to volunteer at Manzil, which works to provide education and a community for local youth from low income backgrounds. Based on how much time you can commit and your specific skills and interests, there is much you can do to help out at Manzil. This organization was founded by students from Delhi University in 2002 to make education accessible to economically disadvantaged children living in the slums behind Khan Market in the city. They depend largely on volunteers and welcome people who can help with administrative work, teaching, research, documentation, mobilization of media, volunteers and institutions, help with design, and technical help with their website, as well as reporting and writing. If you want to help stray animals in Delhi, Friendicoes SECA (Society for the Eradication of Cruelty to Animals) is doing some good work. They have an extensive page on their website detailing how a volunteer can help out. If you are interested in volunteering opportunities around the world, visit Matador’s Volunteering Abroad Focus Page.